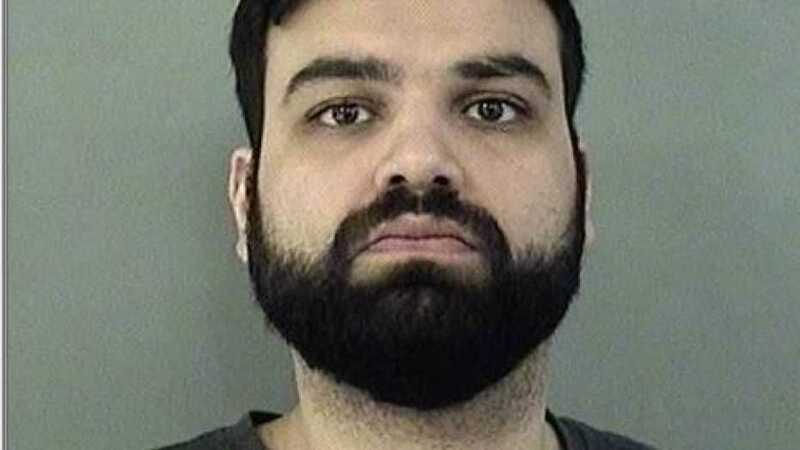 ARLINGTON, Va. — A Virginia doctor who spiked his pregnant girlfriend’s tea with an abortion drug will spend three years in prison, being sentenced to 20 years in prison with 17 of those years suspended. According to reports, Brook Fiske, 37, asked the court to be merciful to her former boyfriend, Sikander Imran, 32. She told reporters last year that when she discovered she was pregnant, Imran was not happy with the news and urged her to obtain an abortion. She declined. At 17 weeks pregnant, Fiske went to visit Imran last May to talk to him about parenting the child, but he slipped the abortion drug Misoprostol into her tea, which caused her to have contractions and ultimately miscarry. “When I was drinking my tea in the evening, I got to the bottom of the cup and there was a gritty substance in there. And when I looked at it, I could tell that it was a pill that had been ground up,” Fiske told local television station WROC. She said that she felt “betrayed and devastated” by Imran’s actions. The doctor allegedly cried when Fiske began having contractions, and admitted what he had done. It was later discovered that he gave her four times the dosage that would send a woman into labor. Imran was arrested and charged with premeditated killing the “fetus” of another. In March, he pleaded guilty to fetal homicide just before the case was to have gone to trial. In doing so, Imran relinquished his medical license and also faces potential deportation back to his homeland of Pakistan after serving his sentence. According to ABC News, Imran’s attorneys had argued that the doctor was struggling with panic attacks and suicidal thoughts at the time the crime was committed, so his mental state wasn’t stable. Fiske said that the length of time that Imran spends in prison doesn’t matter to her as much as the message that people with issues need to seek help before they do something regrettable. “What matters is that people hear this story and realize that either they need help themselves and they’re going to reach out and get it before something awful happens, or they realize that whatever weight, whatever tragedy, whatever pain they’re carrying, there is a way through it,” she stated. In his book entitled “Holiness,” the late preacher J.C. Ryle reminded readers that every man of every locale is born with a sinful nature. It is why Christ declared that man must be born again (John 3:3) and become a new creature with new desires.